We are angels working for the good of mankind. Our mission is to keep Marin county homes spotless. Everyday we go around cleaning the houses of many families just like yours. It is our main goal to leave your house clean and organized for your well being. 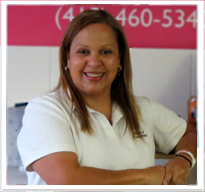 The Angels Cleaners work mainly in Marin County for over thirteen years. We have many references and lots of experience in cleaning houses. We also can clean your carpet, organize your closet and cabinets, refrigerator, and even your garage. We also can clean and prepare your house to be sold with an increased market value. As angels, we use high quality environment safe products and equipments. You can trust us to clean your home in some miraculous way! We can help you have a little peace of heaven in your own home that only Angels could provide. So, if you want the job done, and done right; call the Angels and expect a miracle performed in your house! We the Angels will do it for you... The finest cleaning that you could ever wish for!